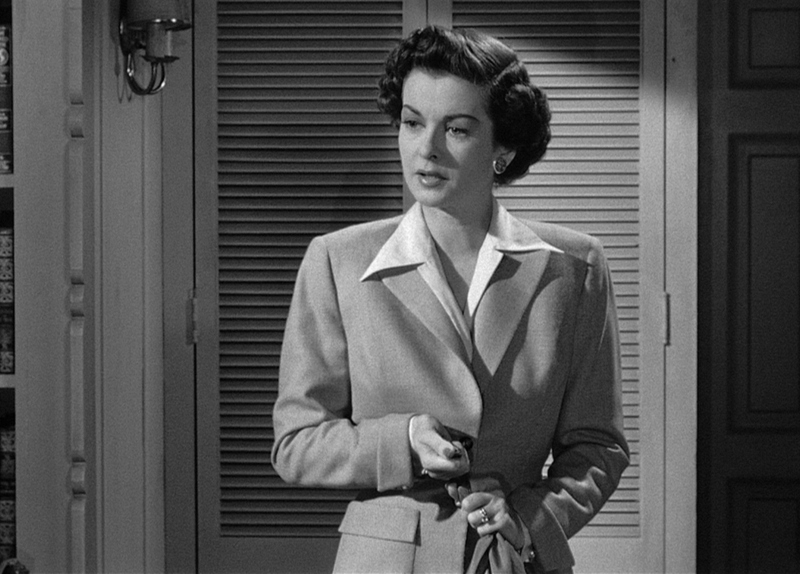 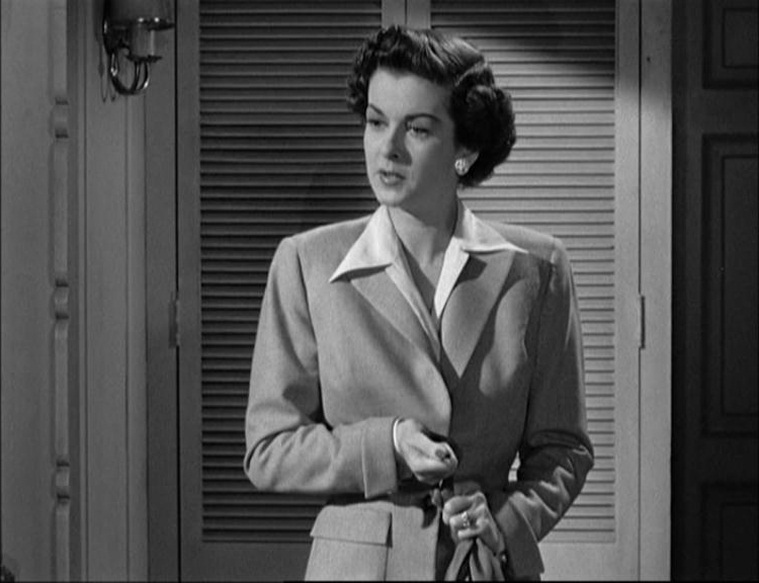 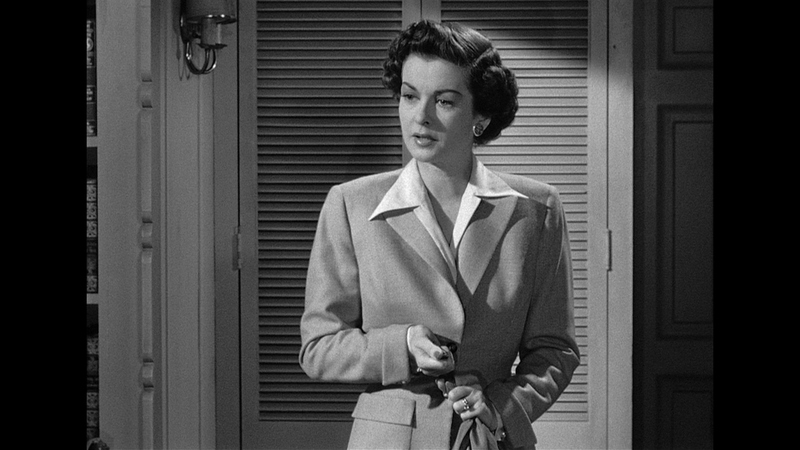 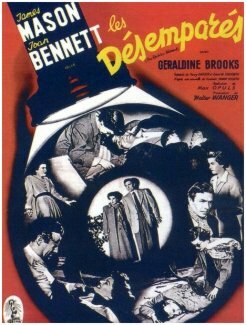 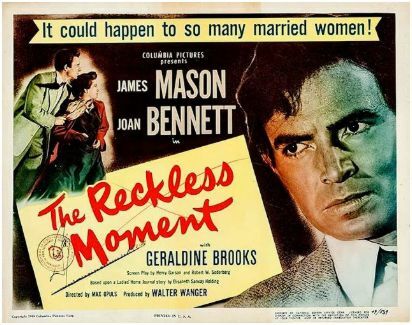 Having concealed her daughter's accidental killing of her seedy older lover, upper middle class housewife Joan Bennett finds herself being blackmailed by a loan shark; fortunately for her, the man he sends - small-time crook and loner Mason - becomes infatuated with Bennett, and ends up killing his partner. 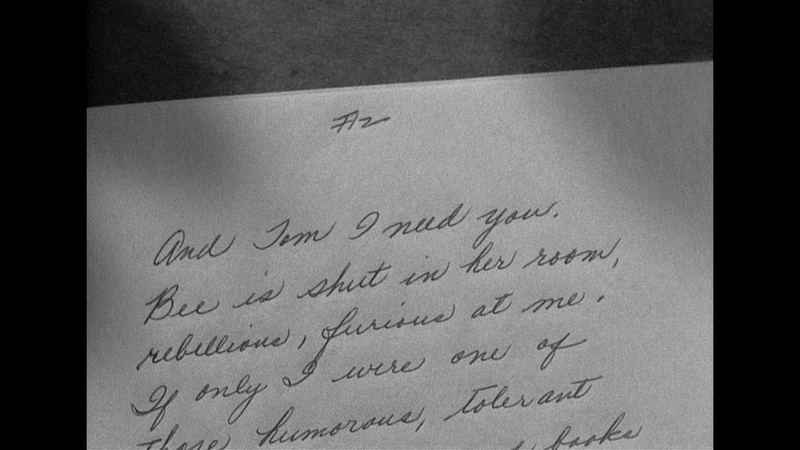 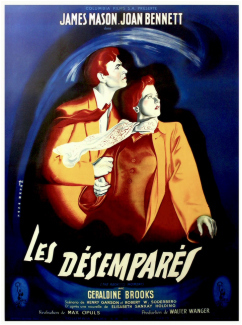 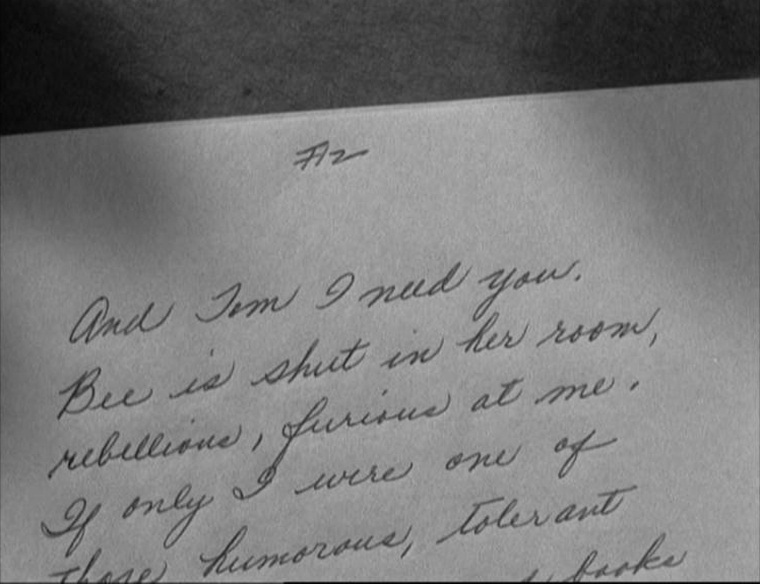 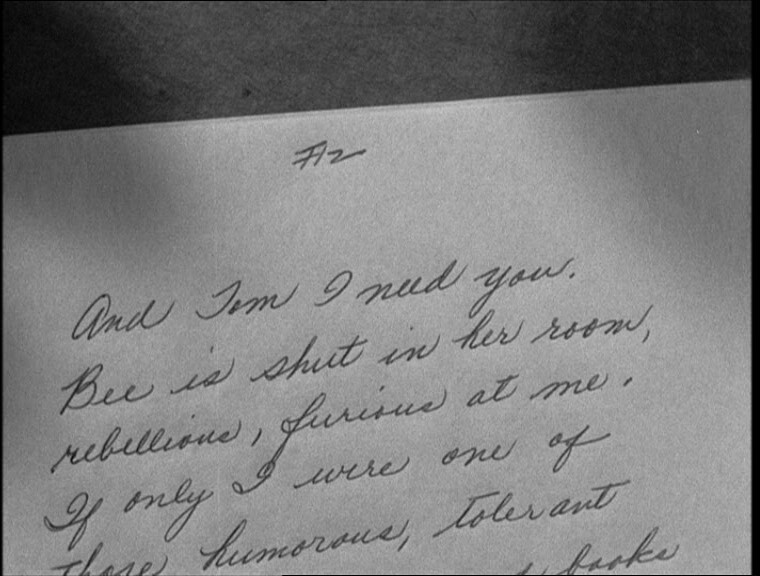 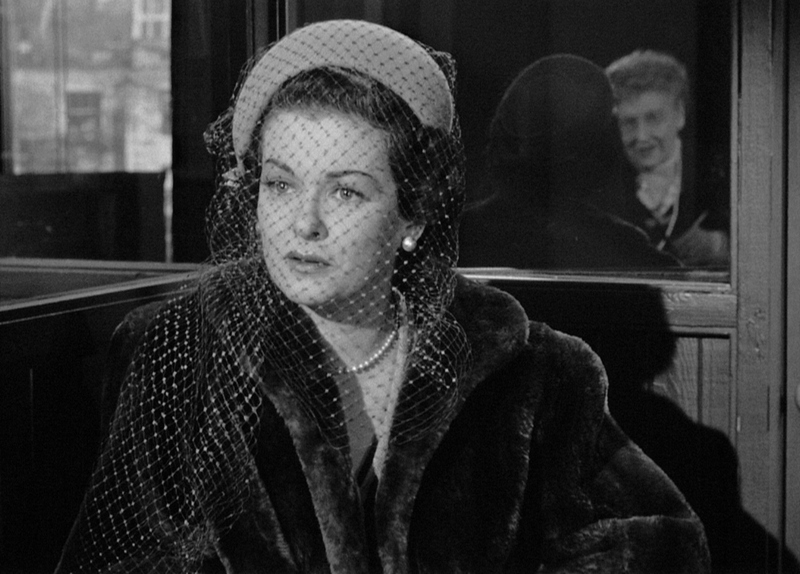 Ophüls' noir melodrama, like his previous film, Caught, can be seen as a subtle, subversive critique of American ambitions and class-structures: in committing the moral and legal transgression of concealing a corpse, Bennett is merely protecting the comfort and respectability of her family life, and the irony is that Mason's self-sacrifice, made on her behalf, simply serves to preserve the status quo that has relegated him to the role of social outcast. 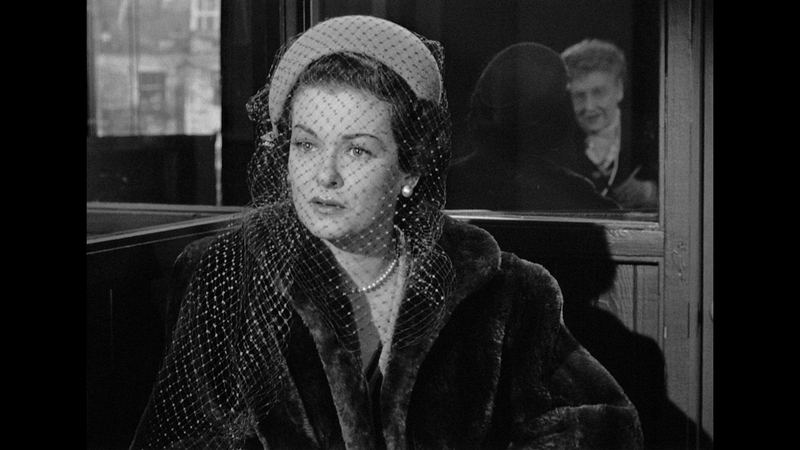 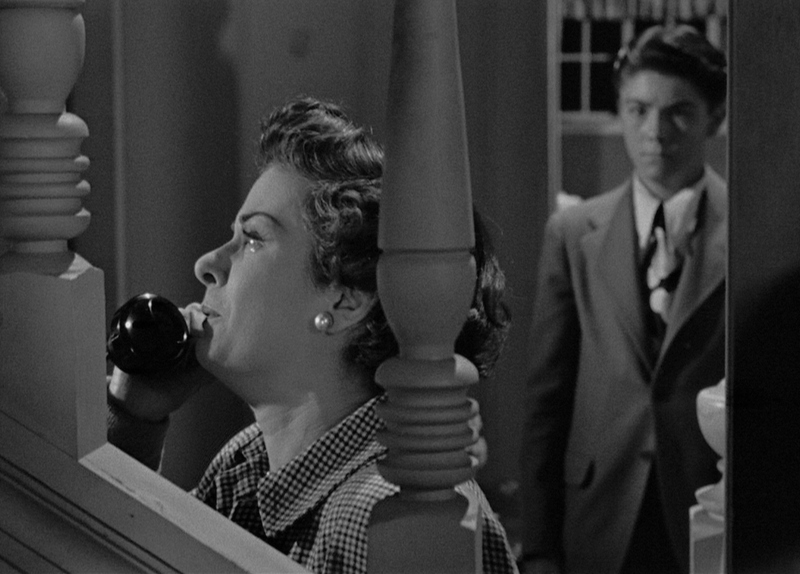 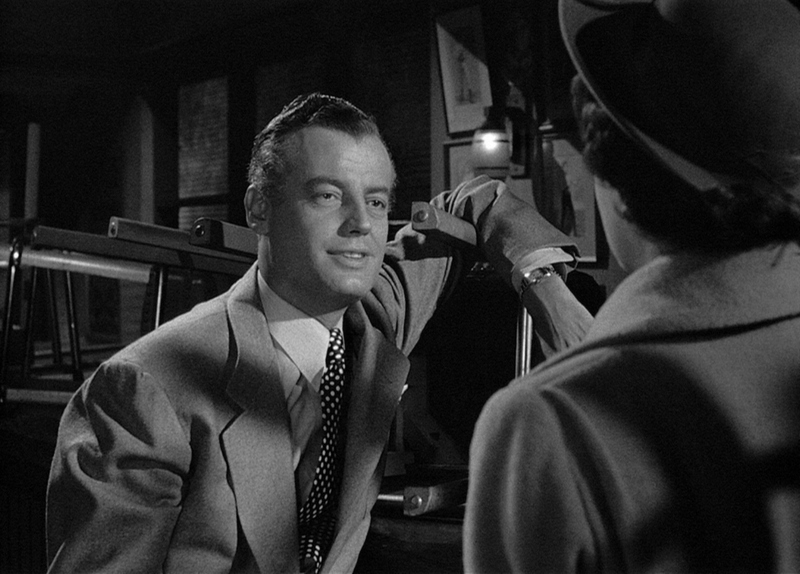 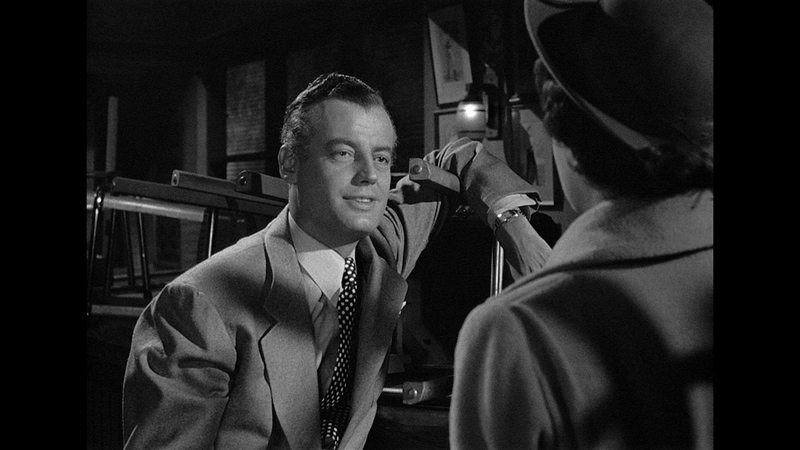 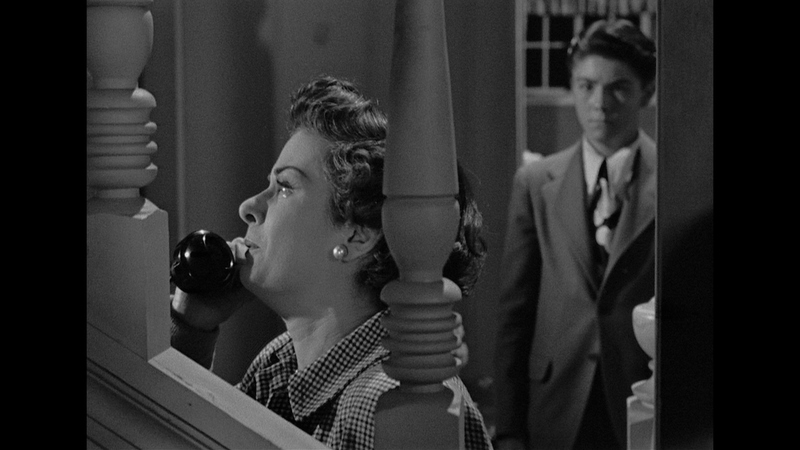 This sense of waste, however, is implied rather than emphasized by Ophüls' elegant, low key direction, which counterpoints the stylization of Burnett Guffey's shadowy photography with long, mobile takes that stress the everyday reality of the milieu. 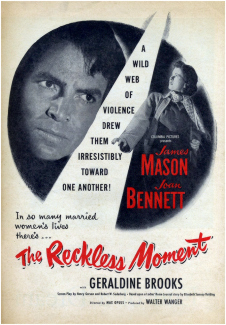 A marvelous, tantalizing thriller, it also features never-better performances from Mason and Bennett. 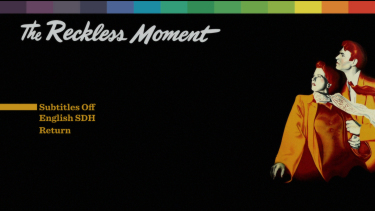 Indicator bring the world premiere of Max Ophuls "The Reckless Moment" to a dual-layered Blu-ray with a max'ed out bitrate. 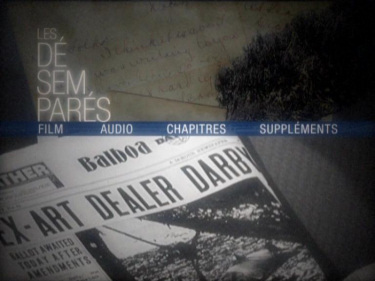 It improves dramatically over the DVD in all the anticipated areas - more grain texture, better layered contrast and notably more information in the frame. 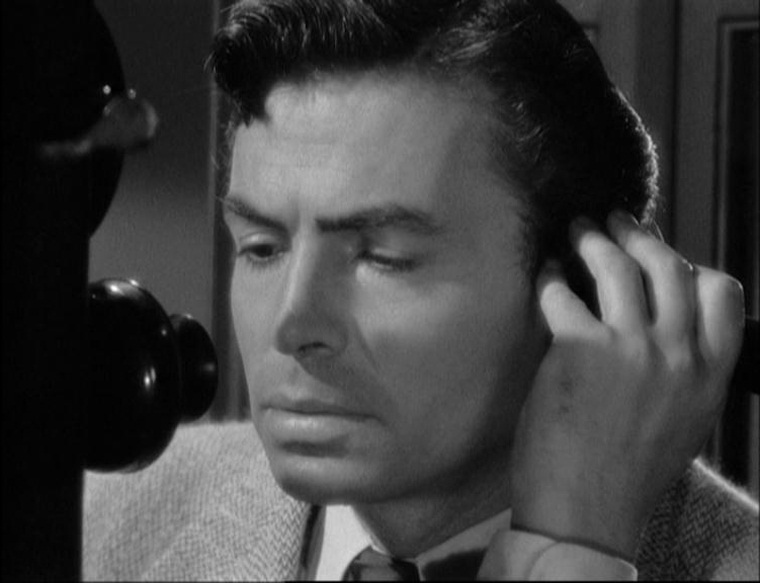 The image is now not as squeezed with the elongated facial distortions of the SD transfer - and it now looks more realistic. 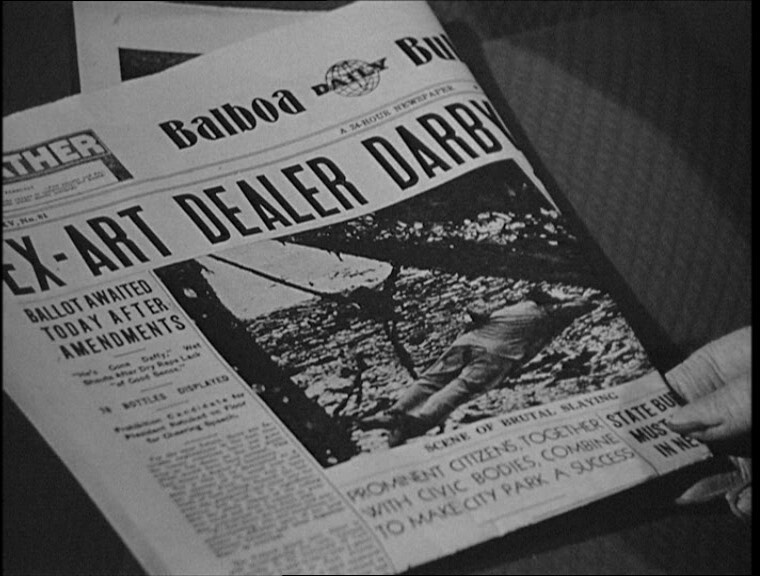 The 1080P resolution exports a much more film-like presentation with texture. There are a couple of less stellar sequences that can tend to look frail and thin, but overall this is a massive improvement over SD. 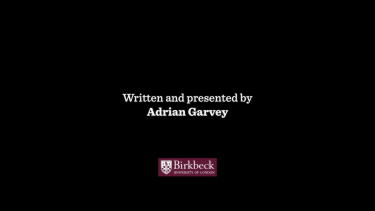 I was extremely pleased. 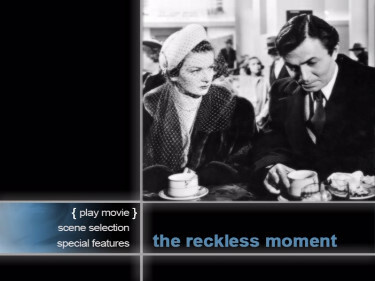 The film's audio is presented in a linear PCM 2.0 channel mono (24-bit) that is adept clean and services the presentation well. 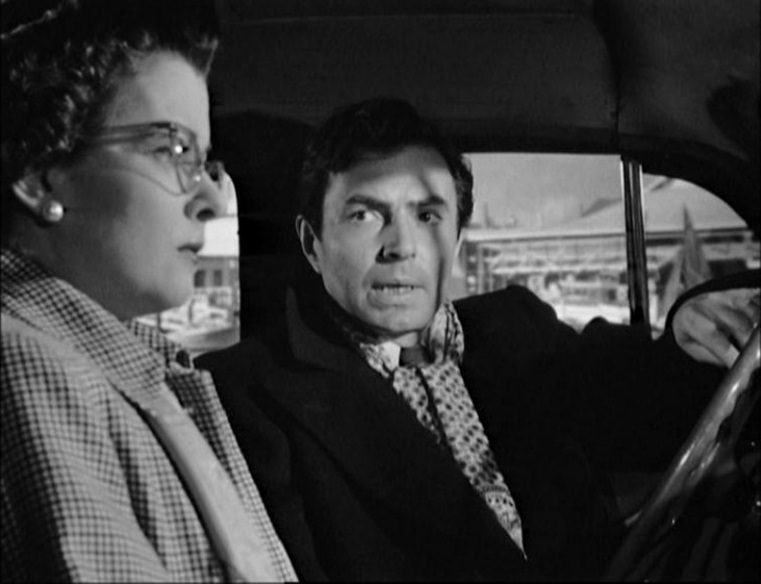 There is not much in the way of effects - a boat and cars sequences that doesn't test the depth much. 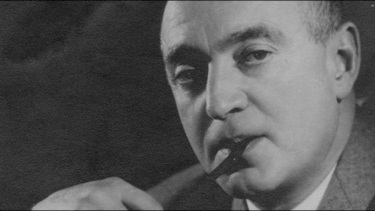 There score is by by Hans J. Salter (Magnificent Doll, Bend of the River, The 5,000 Fingers of Dr. T., Man Without a Star, Cover Up, The Wolfman, The Mole People) sounding reasonably strong via a lossless adding tension in spots. 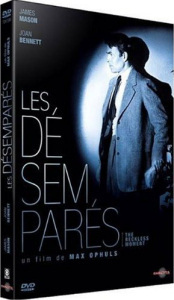 There are optional English (SDH) subtitles on this Region FREE Blu-ray. 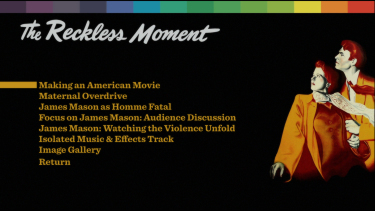 Indicator add both the 23-minute 2006 Maternal Overdrive video appreciation by award-winning writer-director Todd Haynes (found on both DVDs) as well as the 3/4 hour Making an American Movie from 2010 in-depth analysis by Lutz Bacher, author of Max Ophuls in the Hollywood Studios found on the 2010 Carlotta DVD. 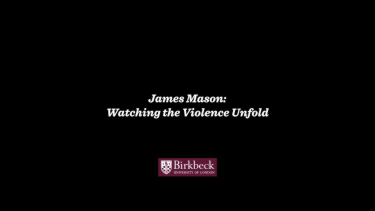 But they don't stop there, new are James Mason as Homme Fatal - a 26-minute illustrated lecture by academic Adrian Garvey, recorded as part of the first part of the Focus on James Mason event held at Birkbeck, University of London, on May 26th, 2018. 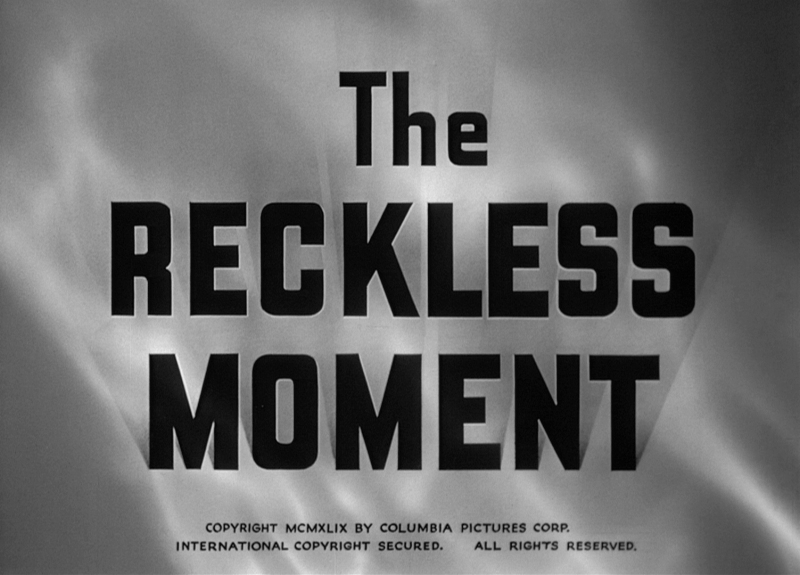 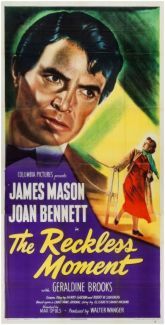 Following it is the second part of the Focus on James Mason event with a 40-minute audience discussion Q&A session hosted by academics Adrian Garvey and Sarah Thomas following a screening of The Reckless Moment. 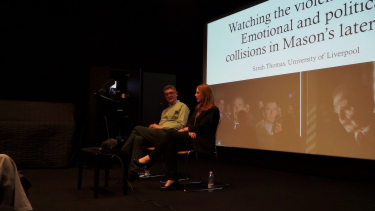 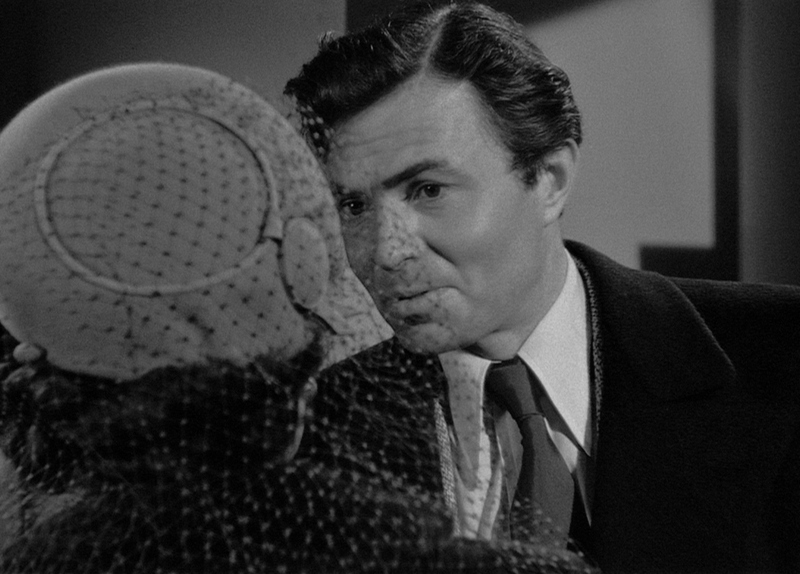 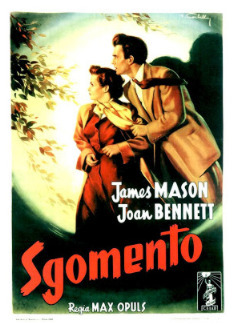 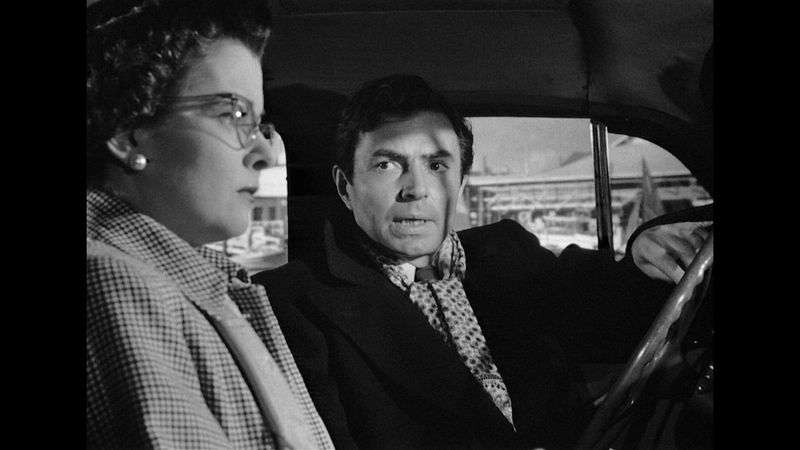 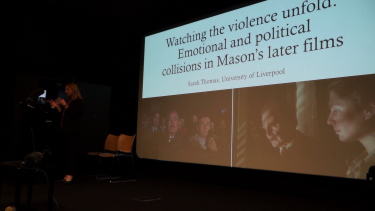 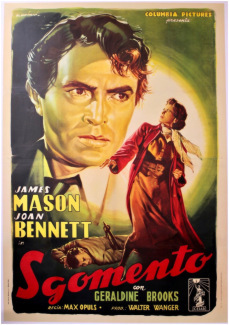 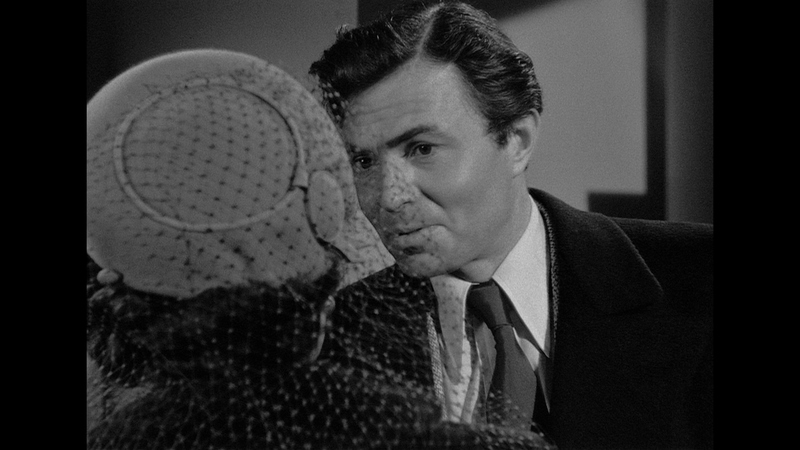 In James Mason: Watching the Violence Unfold a new 1/2 hour illustrated lecture by academic Sarah Thomas, also recorded at Birkbeck, on the same day we get further investigative analysis into Noir and melodrama with Mason. 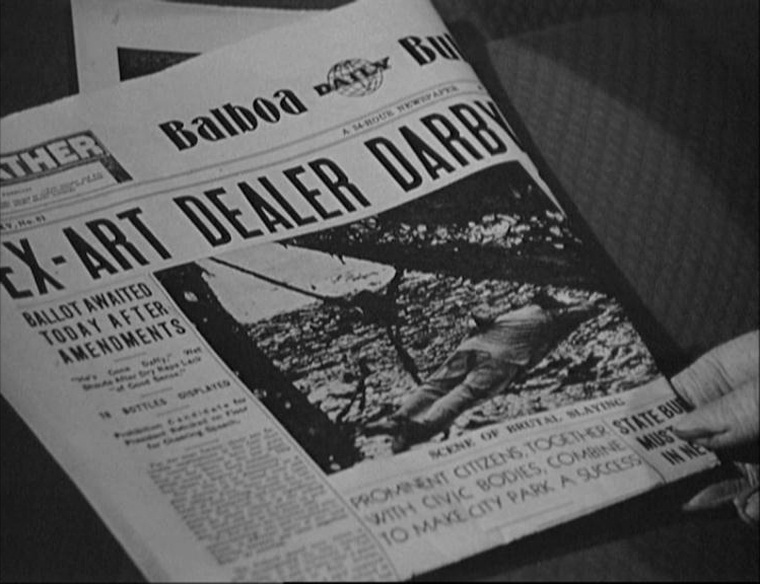 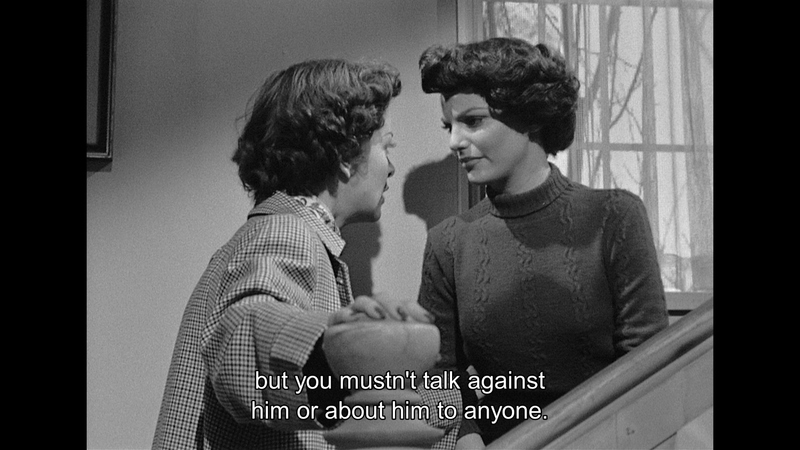 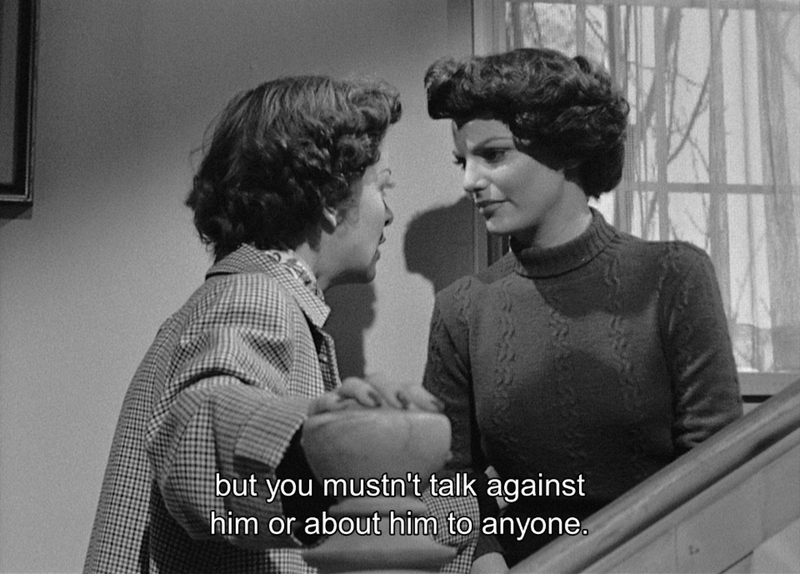 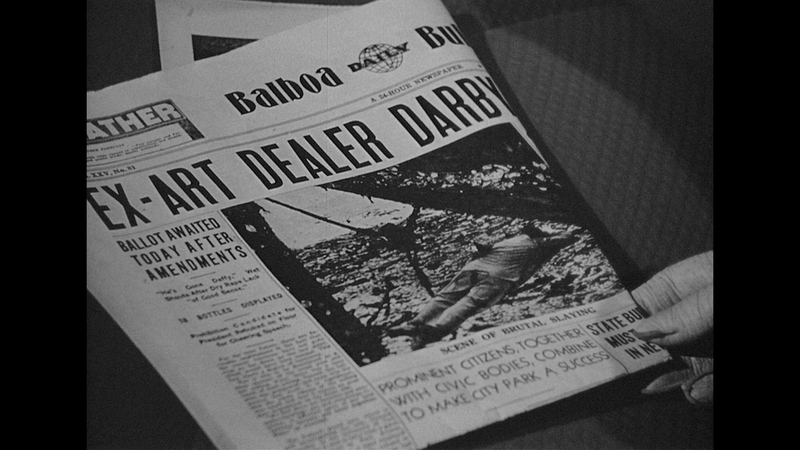 Be aware that the discussion contains plot spoilers for The Deadly Affair (1966) and The Flower in His Mouth (1975). 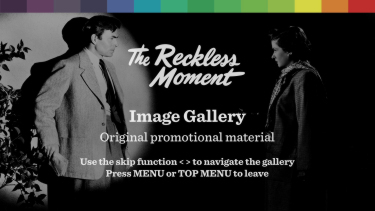 Indicator add the option of listening to an isolated music & effects track and there is an image gallery of on-set and promotional photography. 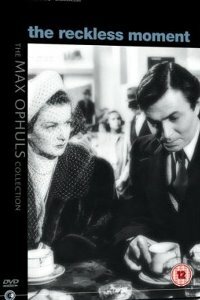 The package contains a limited edition exclusive 36-page booklet with a new essay by Samm Deighan, an introduction to Max Ophuls by celebrated film critic Andrew Sarris, archival articles by Ophuls, an overview of contemporary critical responses, and film credits - this is limited to 3,000 copies. 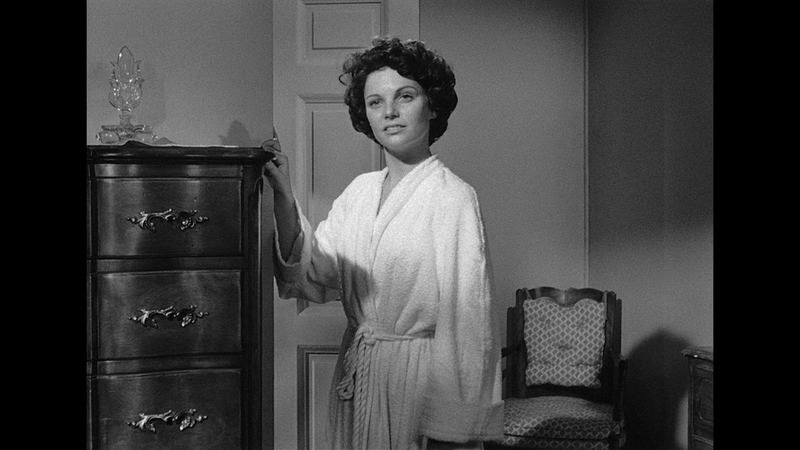 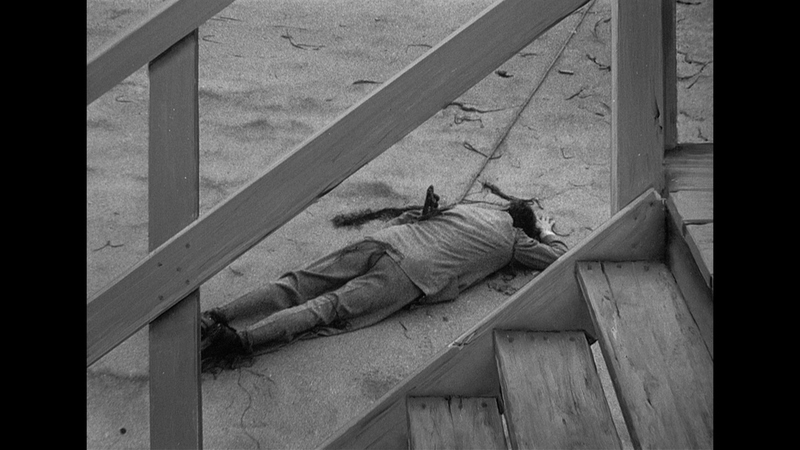 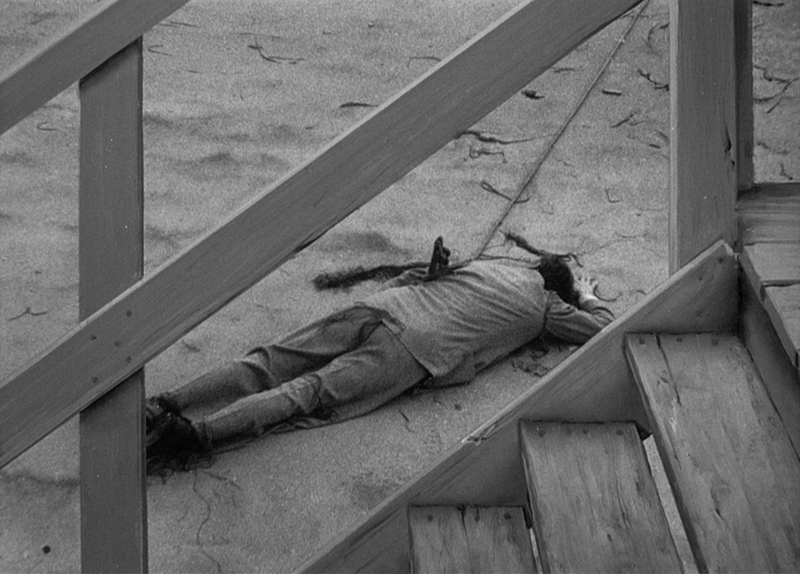 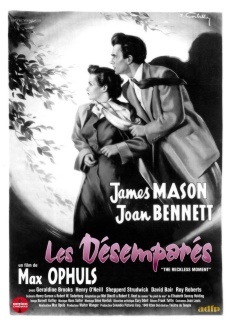 What a beautifully crafted noir feature - a perfectly building thriller from the masterful Ophuls. 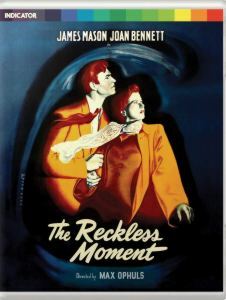 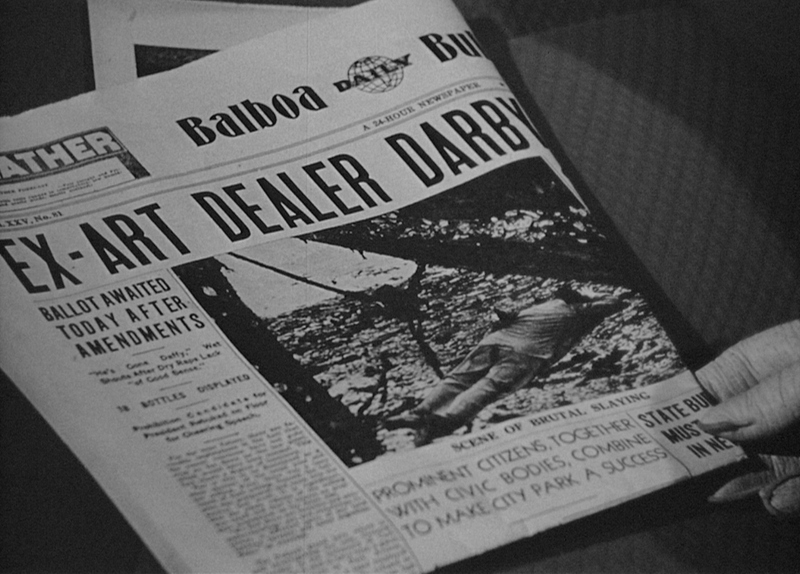 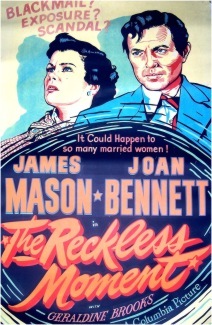 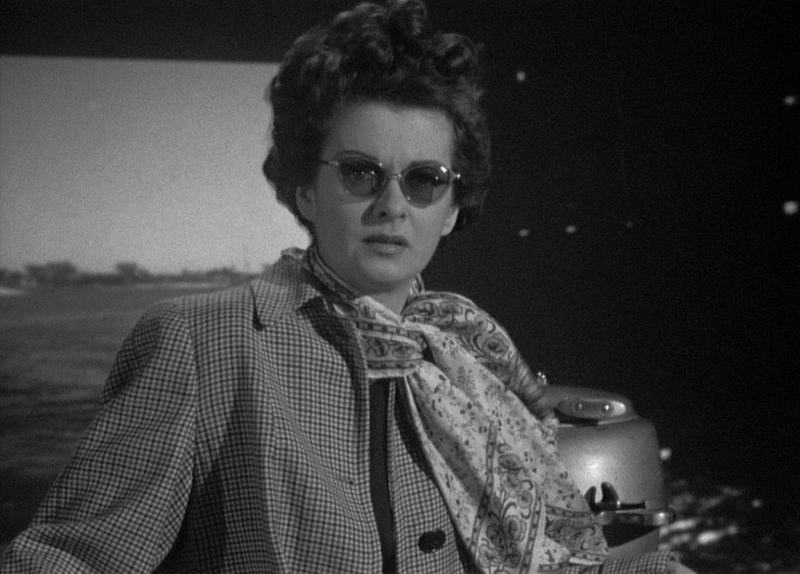 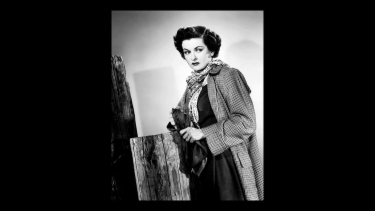 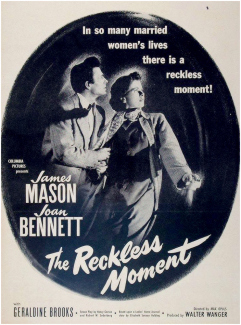 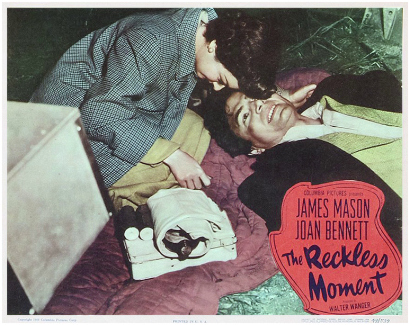 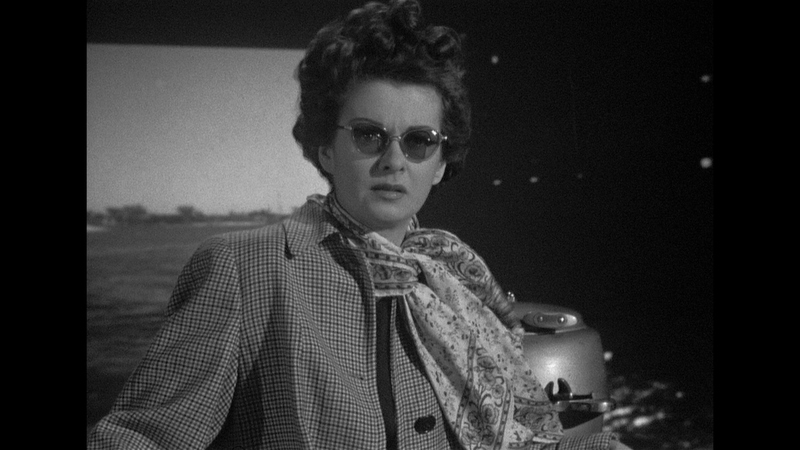 The Reckless Moment has it all including one of my favorite 'Dark Cinema' gals, Joan Bennett. 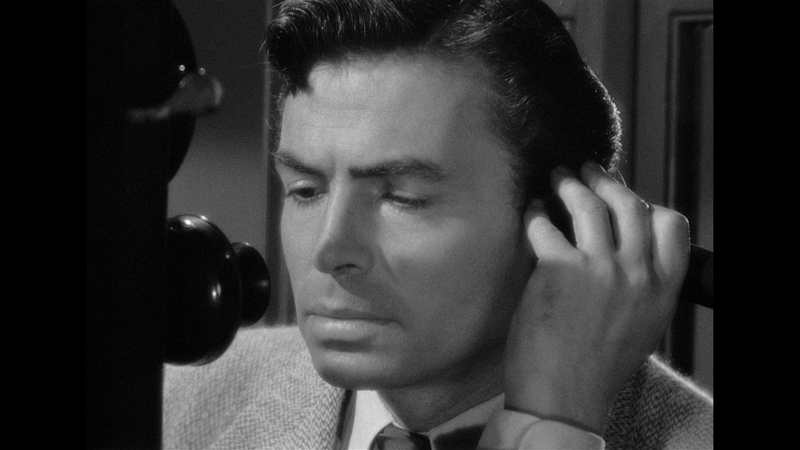 The Blu-ray a/v is a huge improvement over the SD releases plus we get the valued documentary and highly interesting 'James Mason' and Noir focused lectures and Q+A. 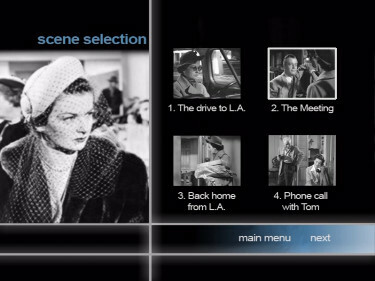 No-brainer for devotees of Film Noir. 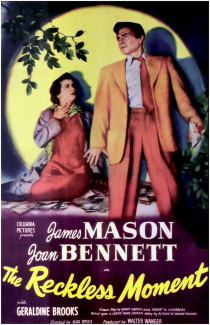 Another fabulous job by Indicator - the Criterion of the UK! 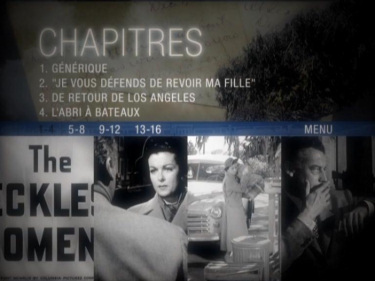 Update: Carlotta: May 2010: Carlotta's recent release of Ophul's noir stacks up nicely against the 2006 Second Sight edition, but does suffer from some image problems. 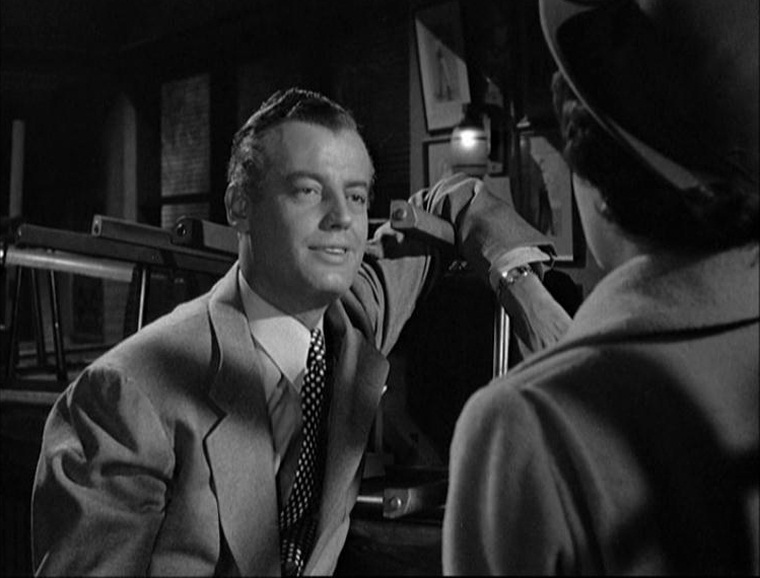 In some ways, the prints look identical, but the Carlotta disc is a shade or two softer and has a few noticeable artifacts. 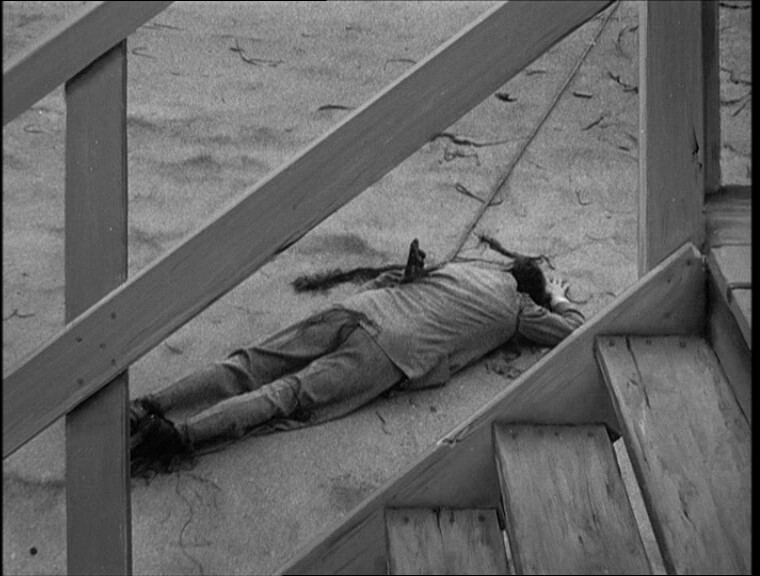 Nowhere is this more obvious than straight lines. 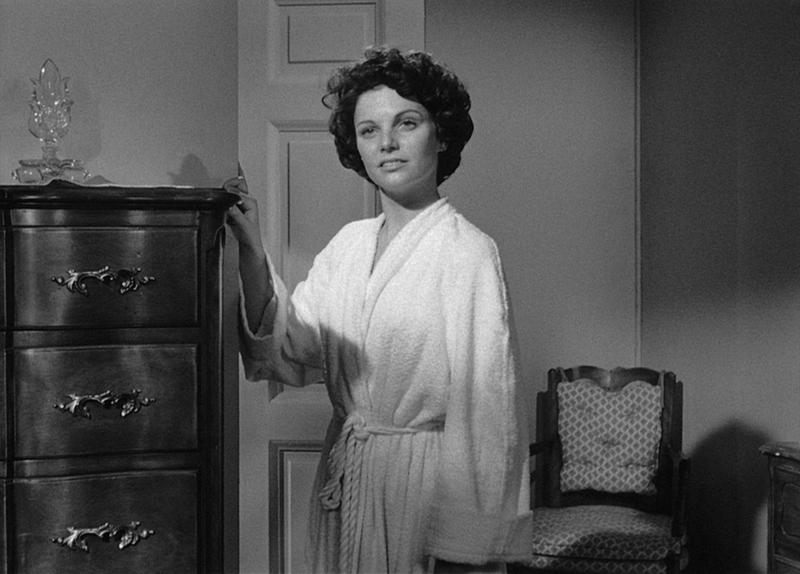 Where as the Second Sight disc has no problems with them, the Carlotta often suffers from a bad case of the jaggies probably a compression issue due to the disc having more supplements. 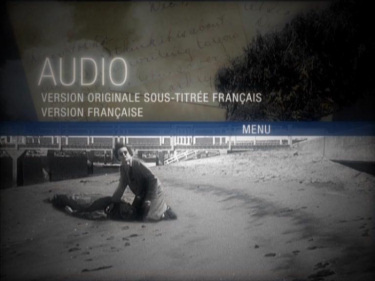 I suspect that the audio is largely the same, but we do get the choice of a French track and English subtitles now. 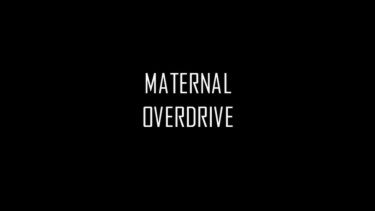 Finally, the Todd Haynes intro is here (renamed "Maternal Overdrive'), but the still and commentary have been replaced with a great documentary. 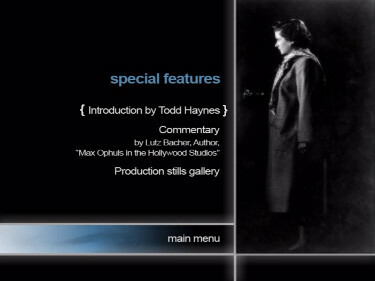 After watching both discs, I can say that the superior image on the Second Sight disc makes it the one to choose, but the wonderful documentary may make Ophuls fans think about taking the double dip. 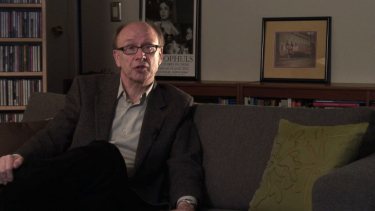 ON THE SECOND SIGHT: Strong progressive image with only a few minute scratches and blemishes. Contrast and detail are very acceptable and there is some light grain in spots. I would have appreciated optional subtitles, but the audio track is clean and clear enough that dialogue is consistent and easy to decipher. 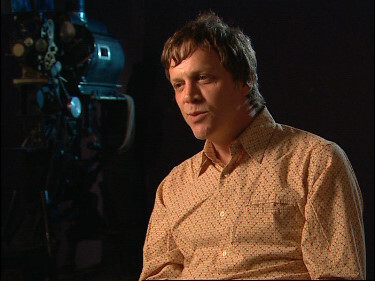 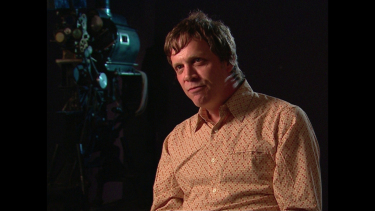 Todd Haynes gives a great introduction impressing with his in-depth knowledge of the Ophuls and The Reckless Moment and how he paid homage with characters names in his own films. 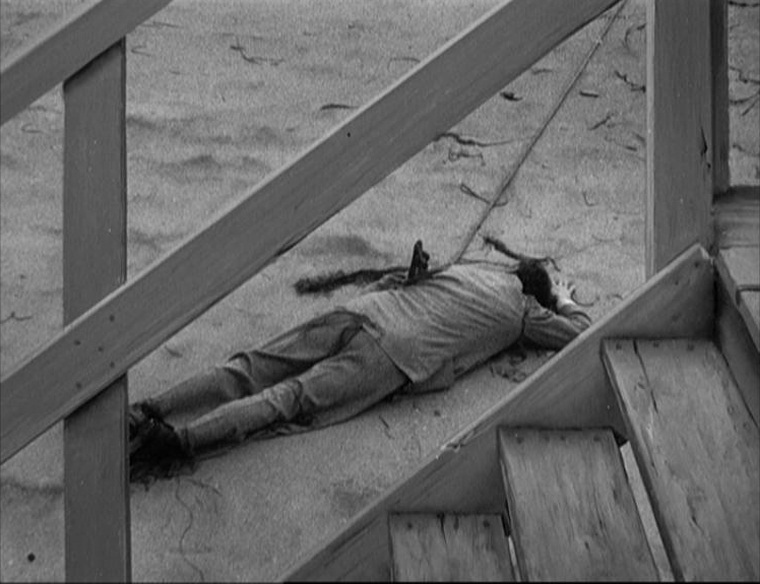 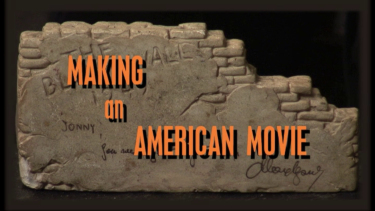 The Lutz Bacher commentary was very interesting as well, although I'd have loved to hear Haynes as backup. 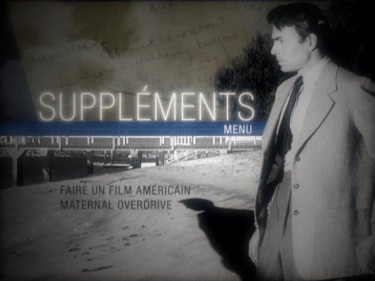 I'm very appreciative that this and the other Ophuls DVDs came out - quality is better than I anticipated and the films are must-owns for serious films fans. 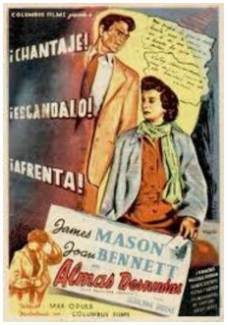 We recommend!